Blended learning has turned out as a widely accepted educational model, combining pro’s and con’s of face2face teaching and online learning in a structured and targeted manner. While definitions of blended learning just consider it as a mix of both worlds, however this is always silently interpreted (and thus implemented) as a temporal sequence of dedicated face2face and online phases. This position paper presents the concept of immersive learning, which is adding another degree of freedom to current implementations of blended learning, and discusses first experiences with this idea. This leads to a number of questions to be tackled by further research, finally leading to what blended learning might have been intended to be. Lucke, U. (2011). Immersive Learning Related to Theory and Practice of Blended Learning. In T. Bastiaens & M. Ebner (Eds. ), Proceedings of ED-MEDIA 2011--World Conference on Educational Multimedia, Hypermedia & Telecommunications (pp. 3484-3487). Lisbon, Portugal: Association for the Advancement of Computing in Education (AACE). Retrieved April 25, 2019 from https://www.learntechlib.org/primary/p/38358/. Cross, J. (2006): Foreword. In Bonk, C.; Graham, Ch. (Eds. ), Handbook of Blended Learning (pp. Xvii – xxiii). San Francisco: Pfeiffer. Donelan, J. (2008): Taking the Initiative. Computer Graphics World, 31(10). Windham, NH : COP Communications. Gaba, D. (2004): The future vision of simulation in healthcare. Quality and Safety in HealthCare, 13 (Suppl 1), pp. I2– i10. Garrison, D.R. & Kanuka, H. (2004): Blended learning: Uncovering its transformative potential in higher education. The Internet and Higher Education. 7(2), pp. 95-105. Lucke, U., Zender, R. (2011): 3D Interactions between Virtual Worlds and Real Life in an E-Learning Community. Advances in Human-Computer Interaction, 2011. New York, NY : Hindawi. Nölting, K., Lucke, U., Waldhauer, M., & Tavangarian, D. (2004): Ein strukturiertes Modell fü r Mobile Blended Learning. In Proc. Workshop Mobile Computing, Informatik 2004, GI LNI P-51 (pp. 306-310), Bonn : Kö llen. Oliver, M., & Trigwell, K. (2005): Can ’ blended learning’ be redeemed? E-Learning and Digital Media, 2(1), pp. 17 – 26. Reinmann-Rothmeier, G. (2003): Didaktische Innovation durch Blended Learning. Bern : Huber. Salmon, G. (2004): E-Moderating: The Key to Teaching and Learning Online. London/ New York: Routledge Falmer. Sauter, A., & Sauter, W. (2002): Blended Learning. Neuwied : Luchterhand. Varney, A. (2006): Immersion Unexplained. The Escapist, 57, pp. 20-23, Stamford, CT : Themis. Vaughan, N. (2007): Perspectives on Blended Learning in Higher Education. International Journal on E-Learning. 6 (1), pp. 81-94. Chesapeake, VA: AACE. 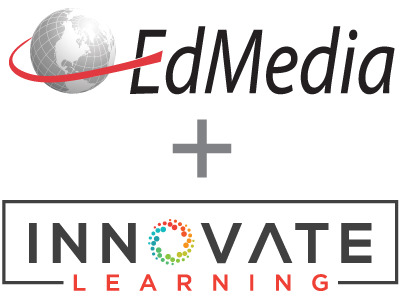 Zender, R., Dressler, E., Lucke, U., & Tavangarian, D. (2009): Pervasive Media and Messaging Services for Immersive Learning Experiences. In Proc. 7th IEEE Int. Conf. On Pervasive Computing and Communication (PerCom) Workshops, Washington, DC : IEEE Computer Society.